Friday the 13th, a packed schedule, awesome speakers, 20 x 20 Pecha Kucha, a new use for Pinterest, Street Fighter, Swingball, Magicians, and the launching of a new website on stage… closely followed by Chips, Beer on the Pier and Karaoke can only mean one thing – yup – Brighton SEO! Brainchild of State of Searcher Kelvin Newman, Brighton SEO kicked off on the Thursday with a series of training workshops including; PR Link Building (Chris Lee – VP of Digital, Emanate PR) , Advanced GA (Dara Fitzgerald – Head of Insight, FreshEgg), and an intro to coding (Dom Hodgson – CEO, Ember Ads). The conference itself took place on Friday with a format of one-speaker-after-another, meaning that you could sit through all talks, in comfort, nipping out for complementary coffee as and when. This was the first time I have been to Brighton SEO and what a lovely surprise! Firstly, I was lucky to get a ticket seeing as they ‘sold’ out in a record number of minutes, secondly the conference had the same level of speaker that I have seen at many other paid conferences (but this one was FREE and friendly), and thirdly, this all took place in the beautiful Georgian building that is the Brighton Dome – let’s face it, sitting in a darkened theatre on plush velvet seats adds an atmosphere and charm that is unrivalled on the conference circuit. Combine that with pre lunchtime cabaret in the form of Magic Sam and you have your perfect seaside weekender!
? Roland Dunn – Searchbots: Lost Children or Hungry Psychopaths? What Do Searchbots Actually Do?
? Craig Lister – SEO & PPC Working Together in Harmony – on Pinterest Slides! I did not attend every session but here is the run down of the ones I did! Many topics covered including the now regular debate of whether SEO as a term or industry is soon to be a thing of the past, what’s with the de-indexing and how to work out the good and bad links, how to shape a content strategy, Google re-designs, Bing and Social media, and not provided. 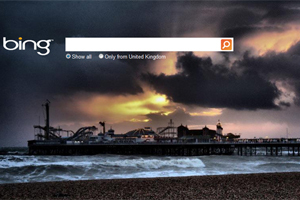 Bing even updated their home page with a picture of Brighton Pier for the day. 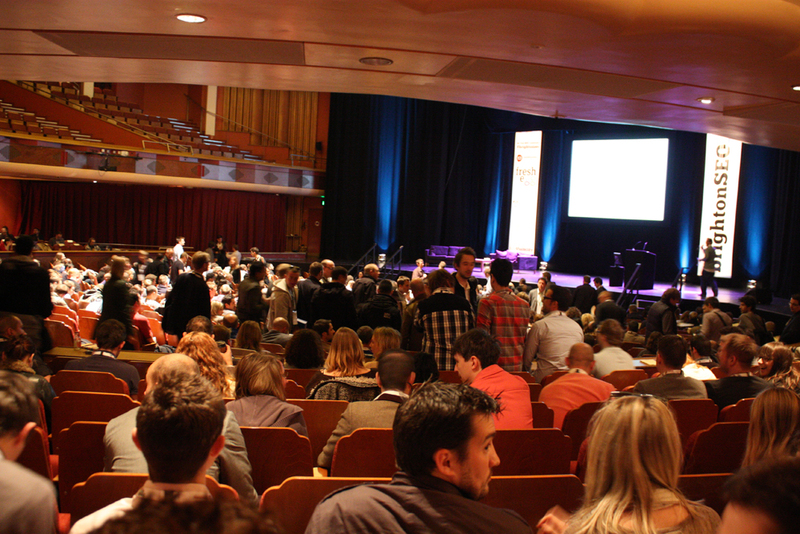 Main Takeaways: As with many panels of late the answer to ‘is SEO dead?’ is a big fat NO! With no industry standards of qualifications SEO may have to re-vamp its own image to attract graduates into the industry and to move forward, we still aren’t sure if rich snippets are a ranking factor, do we really care about Google re-designs, and in most peoples experience, Webmaster Tools cannot be trusted – even though Google says they can! Fellow State of Search blogger Koozai Sam took us through the trials and tribulations of re-branding using the experiences Koozai had with their own re-brand. Sam covered reasons to re-brand, what to think about with visual identity, sub brands under your main banner, different audiences, the importance of research, working with specialists, how to come up with a name, trademarks and domain names… all that in 20 minutes – Go Sam! A technical rundown of schemas micro data, microformats, RDFa, with examples of code, and published examples of Yorkshire Pudding recipes. Use the Google Rich Snippet Tool to test code and watch the slideshare file to get your hands on the example code! The following talks, I only caught part of, or they were too fast and technical to write down, but you should get plenty from the slides! If you’re not familiar with Pecha Kucha. The participants are required to use 20 slides with 20 seconds on each (a more recent version ‘bettakulcha’ requires 20 slides of 15 seconds each!). This results in fast paced informative sessions and a lot of information in 40 minutes! Dom Hodgson stole the show by spending half of his slides talking about a winking squirrel, the rest talking about his accidental sweetshop click n mix, and announcing the launch of his new venture Ember Ads on stage with Party Poppers (to the horror of the venue cleaners) – great end to a great day! To Kelvin for an amazing day and more fun than one can shake a stick at! 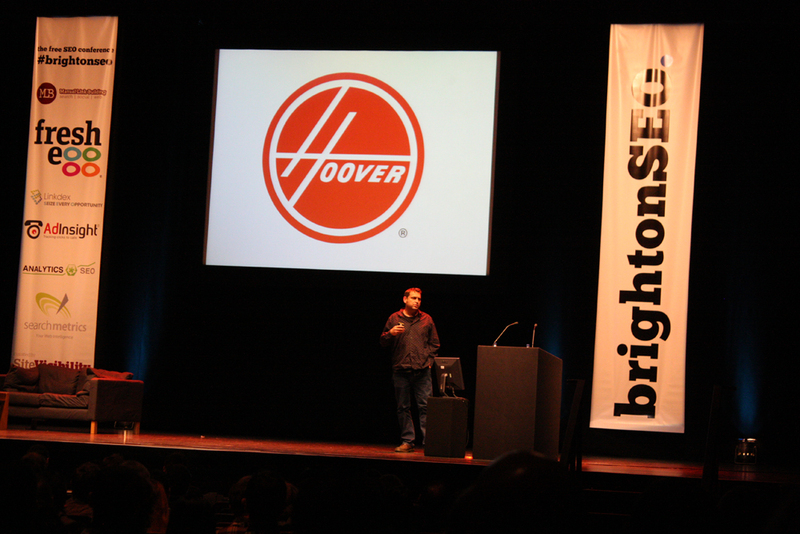 Roll on next years’ Brighton SEO – make sure you are on the mailing list or you could miss out when the tickets are launched! 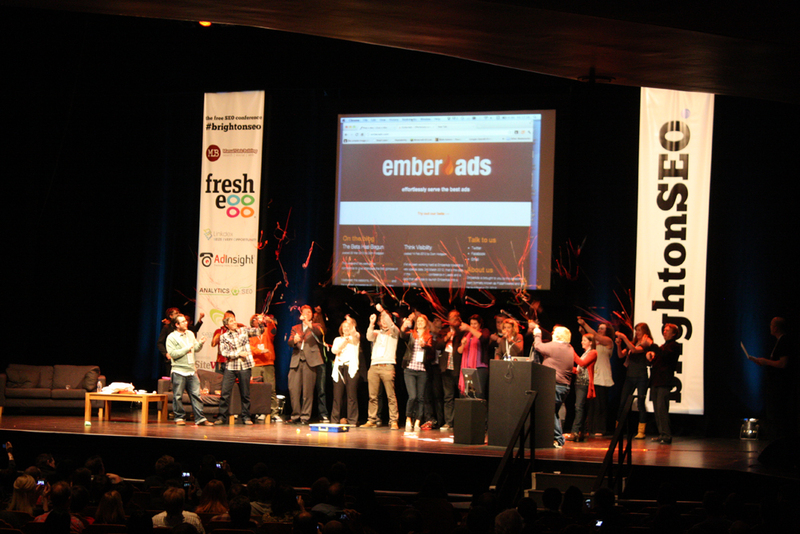 Great round-up of the day – it was such a good event. there may be spare copies left coming up for a giveaway, watch the space.